Singer Jennifer Lopez, 49, has posted a new photo on her Instagram. 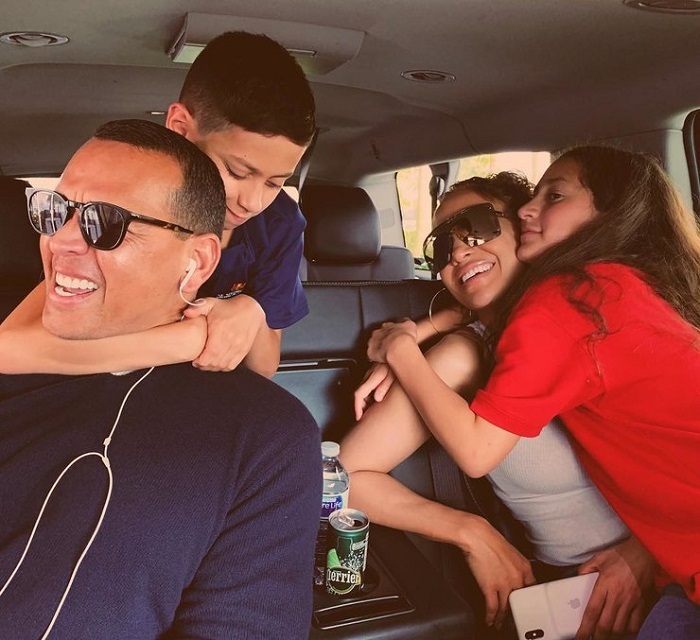 In the photo, the singer is with her 43-year-old love, basketball player Alex Rodriguez and her children born from her marriage to Mark Anthony. The family is in a car. The photo shows that the couple and the children are having a good time. Emma is hugging her mother, while is hugging Alex. They are all smiling. The singer’s fans adore the family love. Alex Rodriguez and Jennifer Lopez are actually getting ready for their wedding. A couple of days ago, the artist started shooting for the film Hustlers. In the film, she and Cardi B play the roles of pole dancers who trick their clients.